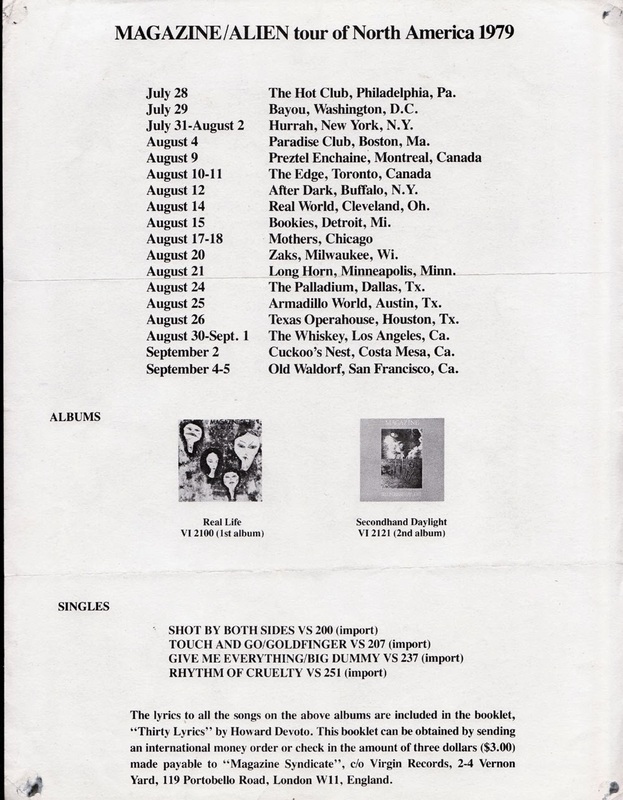 Side two of an A4 promo for Magazine's 1979 tour of North America. Received because the person who uploaded this filled in the 'fan club' card placed in his copy of Secondhand Daylight. The fan club never happened due to 'high demand'. He never found out for sure if this was just a massive lie to cover up incompetence, but says he's sure it was. Item originally uploaded to the fabulous website - Manchester District Music Archive check it out here it is a wonderful site for fans of anything that came from Manchester such as the wonderful Magazine, Buzzcocks etc. Some great uploads and history.